Music House Band "Space Jam"
Have you heard about the big Music House Fall Carnival happening on Oct. 29th? It's going to be a huge event with lots going on, but the highlight will be the "Battle of the Bands." 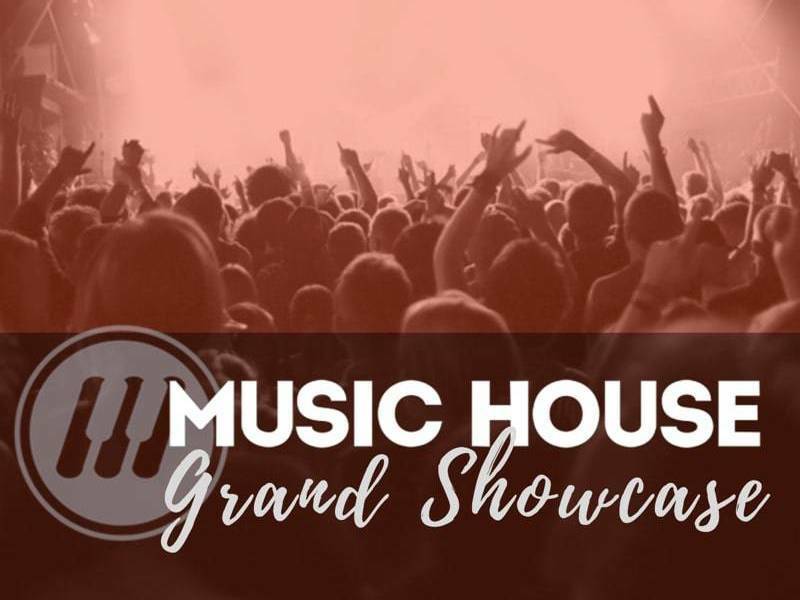 Eight of our top student bands will compete to win free recording time at Chapman Recording And Mastering and a performance slot at an upcoming music festival. All of the bands are amazing, so competition will be fierce. In honor of the approaching event, we'd like to revisit a feature we did on last year's winning bands. They'll be competing again this year. Space Jam: (Focus Band) Jay Babcock, drums; Katy Baumgartel, voice; Nick Brown, guitar; Ashlyn Cassity, guitar; Kaden Counts, bass; Indika Gunananda, piano. Taught by Becca Kephart. 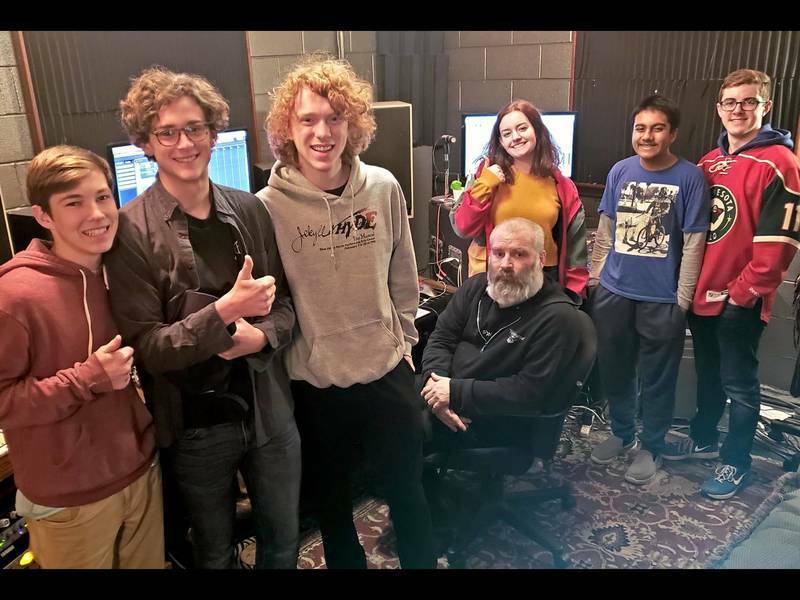 Neon Black: (Mastery Band) Dante Decicco, guitar; Cade Forrest, guitar; Alex Jashinski, piano, vocals; Katherine McCreight, bass; Leo Ruhnke, drums. Taught by Steve Thomas. Listen to their tracks, in all their glory, below. After winning the contest, there was work to be done. They all knew that their recording would be a permanent record of how they would end up sounding in the studio that day. Songs had to be written, arranged, and practiced over and over again. "Studio time is precious," says Space Jam's teacher, Becca Kephart. "I think they really took [that lesson] to heart and came very prepared. ...I was very proud of how they conducted themselves and represented Music House." Getting a professional recording is a goal that every musician should have. How did you feel when you heard that your band won the recording session? Kaden: "I was very excited and mind-blown when they called our band name, saying we won. I was overjoyed, ecstatic!" Katy: "I cried. I was very proud of all of us." Cade: "My heart leapt out of my chest at the excitement it provided. I couldn't wait, and I thought of all the opportunities it could provide." Alex: "...it was satisfying to see our hard work paying off. I was a little worried about our ability to prepare originals, but all in all, I was ready for this kind of next step." What did you do to make sure you were ready for it? Cade: "We meticulously practiced each song down to every note and made sure our songs were studio ready. We cannot screw this up in the studio." Alex: "I approached writing my lyrics differently to make sure they made sense and were catchy." Kaden: "Practice, practice, practice. And believe in myself." Leo: "[I] was really pushed and led by [my teacher] Steve, who encouraged and helped with songwriting and practicing." Did the recording session make you think differently about playing/recording/practicing? Alex: "It really made me focus on the small things and precision in the song. Everything is exposed in the studio, and I knew this would be permanent, and people would hear our songs, so I worked to make sure it was as close to flawless as I could get it." Indika: "Yes, it made me realize how much time it takes to set this up, and how much practice it takes to record." Ashlyn: "It made me realize recording isn't that scary." Dante: "It gave me more insight into one way of making records." Katherine: "Yeah, I normally practice a decent amount, but I was really motivated to make sure I knew the songs." What was it like to hear your band's recording when it was finished? Cade: "It was really eye-opening hearing the clarity of the recordings. How clear it sounded blew me away. The first thing out of my mouth was 'Oh...Wow!'" Jay: "We sounded like a professional band!" Indika: "It was like listening to the radio." Alex: "It was just a feeling of overwhelming pride. I was thinking, 'Wow, this is really us!' because, honestly, we sounded goooood." Dante: "It was nice to hear a quality recording after years of hearing ipad and iphone recordings." Leo: "It was crazy how crisp and clean our sound was. Also, how just tight and in-sync everything was." What was the coolest thing about recording your songs? Katheryn: "I liked being able to hear our songs on good speakers. I also thought it was cool that they guy could take parts from each take we did and mix them together for the final recording." Dante: "Getting to work with Matt (the recording guy). Matt was a bro." Cade: "Getting a glimpse into what it is like being in a real setting as a recording band. Also, getting to experience what I've seen on videos, and just, yeah." Nick: "Being in the control room around the giant mixing console." Alex: "The whole experience of being there was awesome. We were treated like professionals. Matt was very helpful and courteous, and treated us like musicians, not teenagers. To me, that was really the icing on the cake. The studio was going to be cool no matter what, but the way we were treated is what made it really amazing." What surprised you most about the whole recording process? Cade: "What really surprised me was how quickly the takes came together, and the fact that we didn't sit down and take breaks." Katherine: "The biggest surprise was how long it took to set up. I didn't realize how much went into recording. I was also surprised how quickly we got a song put together and that we each had little things in front of us that controlled the volume for each instrument we were playing." Leo: "I was surprised by our engineer. Not only was he a super-nice guy, but he was also very professional in his work. He's an amazing and highly skilled engineer who really knows what he is doing." Alex: "I would research what type of piano they had so that I could be more prepared for what sounds would be available to me. I was kind of shooting in the dark with sounds, so I would be a little more prepared in the future." Dante: "I might have tried another distortion tone, just to see what it sounded like." Leo: "I would bring a different ride cymbal. The one I had was too small and not very deep. Also, I think that running the songs out of the studio before the session would really be helpful and get our brains in gear for our songs." After recording in the studio with your band, will it change the way you play together live? Katherine: "I think we already play well together live. The studio playing was more focused on individual parts, even though we still had to make it sound good together. It was easier to hear each other's parts in the studio--I don't think you really get that when you play live." Alex: "I think it just deepens the already deep connection that we all have. The atmosphere was electric, and I think we will have to repeat it." Cade: "Playing in the studio enhanced our musicality, and I feel like in the future we will have a greater connection with each other, and we'll be able to get the same energy that we got in the studio." Be sure to join us at this year's Music House Fall Carnival to hear these bands and six others serve up their best.